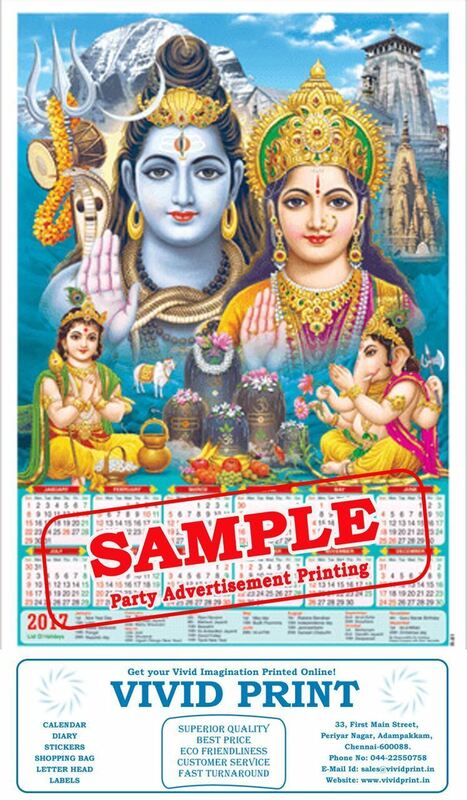 Calendar size 14" X 24"(Width x Height) / Advertisement Space Size 13" x 4"(Width x Height) Poly foam Single Sheet Calendar 2018. Goddess Lakshmi standing on a lotus,saraswathi and ganesha sitting on a lotus. 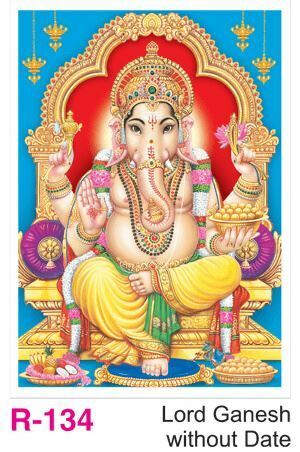 Calendar size 14" X 24"(Width x Height) / Advertisement Space Size 13" x 4"(Width x Height) Poly foam Single Sheet Calendar 2018. Goddess Lakshmi standing on a lotus,saraswathi and ganesha sitting on a lotus. Goddess Lakshmi, saraswathi and ganesha sitting on a lotus with golden coins. 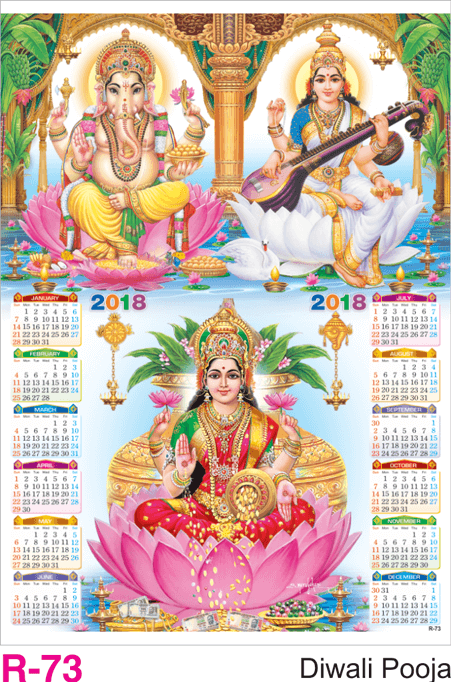 Calendar size 14" X 24"(Width x Height) / Advertisement Space Size 13" x 4"(Width x Height) Poly foam Single Sheet Calendar 2018. Goddess Lakshmi standing on a lotus,saraswathi and ganesha sitting on a lotus. Krishna in his childhood eating laddus.